On Wednesday, Senate bill 100 passed the Senate Comittee on Natural Resources and now awaits the House. The Kentucky bill will allow utility regulators to structure how solar customers are credited for the excess power they generate. The bill will help modernize the relationship between utilities and solar companies creating a better transition into the solar future. Make Solar Safe will continue to update consumers on positive bills that promote safe and fair energy practices. An important piece of legislation that will modernize Kentucky’s net-metering laws and help the Commonwealth to maintain affordable energy rates has been filed in the General Assembly. 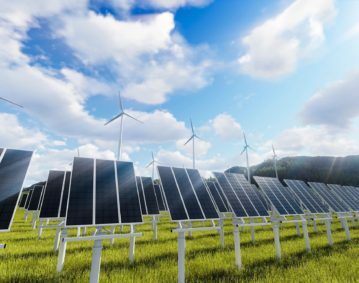 Senate Bill 100, sponsored by Senator Brandon Smith (R-Hazard), proposes allowing the Kentucky Public Service Commission (PSC) to determine the value of excess energy generated by future solar-energy customers. Overseeing energy rates and ensuring they are reasonable and fair is one of the core functions of the PSC. 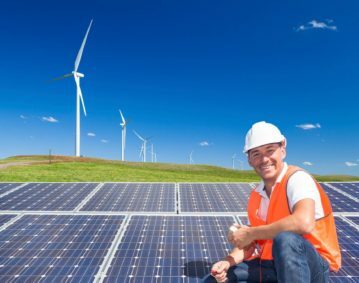 Under current law, which was written in the previous decade, electric utility businesses are required to credit solar-energy customers for excess energy at the retail rate, which equates to a 300 percent premium relative to other sources of power. This policy requires the costs to fully cover the energy grid to be shifted to all customers. While the fiscal impact of this system today is relatively modest, costs are projected to increase as solar continues becoming more affordable and popular. Senate Bill 100 presents an opportunity for Kentucky to get out ahead of a problem that will cause serious economic harm in the near future. Allowing the PSC to study and determine fair rates will help avoid cost-shifts and keep energy affordable for all Kentuckians. Under Senate Bill 100, solar energy will still continue to thrive in the Commonwealth. Solar customers would still be able to export excess energy to the grid. The bill would grandfather in all existing solar-energy customers under current statute. Any rate change proposed by the PSC would only apply to customers who begin services after the bill’s proposed implementation date of January 1, 2020. On top of this, Senate Bill 100 would raise the cap on the size of eligible systems from 30kw to 45 kw, a 50 percent increase that would encourage the growth of the solar industry. Senate Bill 100 proposes a modernized net-metering structure that is sustainable, fair, and forward-looking. GLI strongly supports this legislation as a way to keep energy rates in our region affordable, which is key to economic growth and business attraction. Additional details explaining the corrupt passage of Riverside County’s solar reimbursement came out during an Imperial Irrigation District meeting. According to lawyers for the district, Riverside County officials violated open meetings laws in determining who was going to vote for the contentious ordinance. The ordinance was already under scrutiny after details emerged that the ordinance was pushed by a private solar developer, Energy Alliance, including a promise for the developer to pay for court costs, effectively bribing the county into passing the change. If the change were to become law it would have a negative impact on Riverside County residents. Energy Alliance would be able to market solar panels to customers promising higher energy reimbursement rates than the utility is required to pay by state law. LA QUINTA — The Imperial Irrigation District is alleging Riverside County was in violation of California’s open meetings law, the Brown Act, when Riverside officials “lined up votes” outside of the public’s purview on an ordinance the district is now suing over. What’s more, due to the alleged Brown Act violations, the district sent a letter from one of its attorneys demanding that the ordinance in question be rescinded or that Riverside County face additional legal challenges from the district. The allegations were made public Tuesday at the district’s monthly meeting in La Quinta during a presentation by attorneys for Aguirre and Severson LLP, an outside law firm hired by the district to make a California public records request on its behalf. The district is currently embroiled in a lawsuit with Riverside County over the approval of Ordinance 943, a law passed by the Riverside County Board of Supervisors in June compelling the IID to provide additional incentives to electrical customers who have installed solar panels on their properties. IID officials are opposed to the ordinance, saying that at stake is the district’s authority to set its own rates and that the district is already in compliance with California state law. “IID’s business model allows the district to offer its customers some of the lowest residential electric rates in California — rates that are as much as 50 percent lower than that of neighboring investor-owned utilities. The ordinance, should it be implemented, jeopardizes these rates and sets a bad public policy that has the potential to impact other public power providers across the state,” IID communications specialist Robert Schettler said in a statement. The ordinance passed by Riverside County — which is not in effect, but in a court-ordered stay while the suit makes its way through legal proceedings — establishes new regulations and procedures for irrigation districts like IID that are operating net-energy metering programs. Net-energy metering is a program designed to benefit customers who generate their own electricity, usually via rooftop solar panels. The Brown Act violation allegations are believed to be contained in a series of correspondence Aguirre and Severson requested between Riverside County officials and staff and principals in Renova Energy, a private solar installation company based in Palm Desert that appears to have pushed for the ordinance according to a series of emails. “Because of the rather troubling aspects of the way this thing was passed, we asked outside counsel to make a public records request,” IID General Counsel Frank Oswalt said. Oswalt said Riverside County responded to the records request Oct. 2 and within a series of email correspondence attorneys believed they found two emails, or examples, in which the Brown Act was violated. The Brown Act states, Oswalt said, that a legislative body such as the Riverside County Board of Supervisors “shall not outside a meeting, use a series of communications to discuss, deliberate or take action” on a subject within its jurisdiction. “We see this letter,” Smith Hoff writes, “as providing you [Riverside] an opportunity to rectify an illegal action avoiding the need for further litigation.” From the date of the letter, Oct. 12, the IID has given Riverside County 30 days to respond or be subject to legal action. Riverside County officials deny any wrongdoing. “The Riverside County Board of Supervisors has and will continue to adhere to the requirements of the Ralph M. Brown Act. The allegations by the Imperial Irrigation District have no merit. Board members did not engage in any serial meetings in advance of the ordinance’s introduction and adoption. The recent disclosure of emails in response to IID’s public records request does not change the fact that there were no serial meetings,” Riverside County spokesman Ray Smith wrote in an email Wednesday afternoon. Aguirre and Severson partner Maria Severson took the IID Board of Directors and those assembled at Tuesday’s meeting through a history of the “behind-the-scenes” development of the ordinance by way of a chain of emails outlining negotiations between Battaglia, Perez and others. There was a specific call to arms against the IID from Battaglia, according to the emails. Battaglia makes references to going to “war” with IID and in another instance calling the IID Board of Directors “rogue, corrupt and environmentally tone-deaf” through the development of the ordinance and the alleged negotiation of the indemnity agreement. He added that any dealings he had with Riverside County officials was above board and legal. Meanwhile, IID filed suit against Riverside over the ordinance back on July 13 in Riverside County Superior Court. The ordinance in question has not gone into effect, as the IID won a stay pending further consideration of the merits of the case. 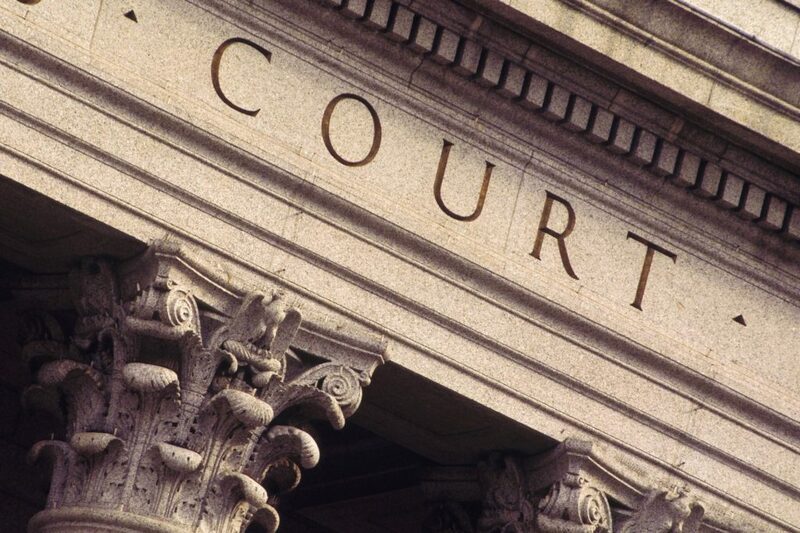 The parties are next due in court Nov. 6 in Los Angeles, seen as a neutral site by the court. If cost of solar has dropped so much, why are subsidies still needed? Kentucky Representative Jim Gooch writes in the Lexington Herald Leader about his plan to lower subsidies for solar users that are currently being paid for by all utility customers. Representative Gooch is a proponent of lowering Kentucky’s electricity rates for all customers. His plan would update the state’s Net Metering law to ensure all customers are paying for the upkeep of the grid. As chairman of the Kentucky House of Representatives Energy and Natural Resources Committee for more than 19 years, I have seen both the highs and lows of energy policy in Kentucky. I chaired the committee when coal production was at its all-time peak in Kentucky, and I fought the federal government as it tried to take down one of Kentucky’s signature industries. Electricity rates in Kentucky have increased by 30 to 40 percent over the past decade. Many of the factors driving those cost increases were outside the control of the General Assembly. At every turn, I have kept as my core principle what is best for affordable energy for Kentuckians. I firmly believe that low-income Kentuckians should not pay any more on their electric bills, if it can be avoided. This is why I’m sponsoring House Bill 227, a bill to modernize Kentucky’s outdated net metering law. The net metering “subsidy” or “mandate” is not a utility issue and it’s certainly not a partisan issue. It is a cost issue for all electric customers who choose not to install solar panels. Kentucky is a cost-of-service, regulated utility state. The costs of Kentucky’s electric infrastructure are shared by all customers — as are the benefits. When one class of customers avoid paying the costs of the system, those costs must be paid by others to ensure around the clock reliable service. Solar-produced energy is no more valuable than any other type of energy. For those who say otherwise, I would argue that coal-produced energy provide more benefits to Kentuckians. For supporters of solar power and solar contractors, HB 227 would not affect larger scale private solar projects, which do not fall under Kentucky’s net metering law. It would not prevent those who choose to install private solar to do so for their own benefit and be fairly compensated. And the bill clearly grandfathers allcurrent net metered customers for 25 years, whether they sell their house or rent it. That timeframe exceeds the life of all private net metered solar installations currently in Kentucky. Those systems already installed have been sold by contractors on the promise of paying off in 10 or 15 years. Another guaranteed 10 years of return absolutely will not hurt those customers’ investments. HB 227 will not put solar contractors out of business. By rewarding net metered customers for their excess energy at a market price, it merely stretches out the time needed for a net metering customer to earn a return on their investment. Those who want to go solar can still choose solar and will still make a return. Solar advocates are the first to point out that the costs of solar panels have come down 70 percent over the past decade. Who knows what the next decade will hold for them? 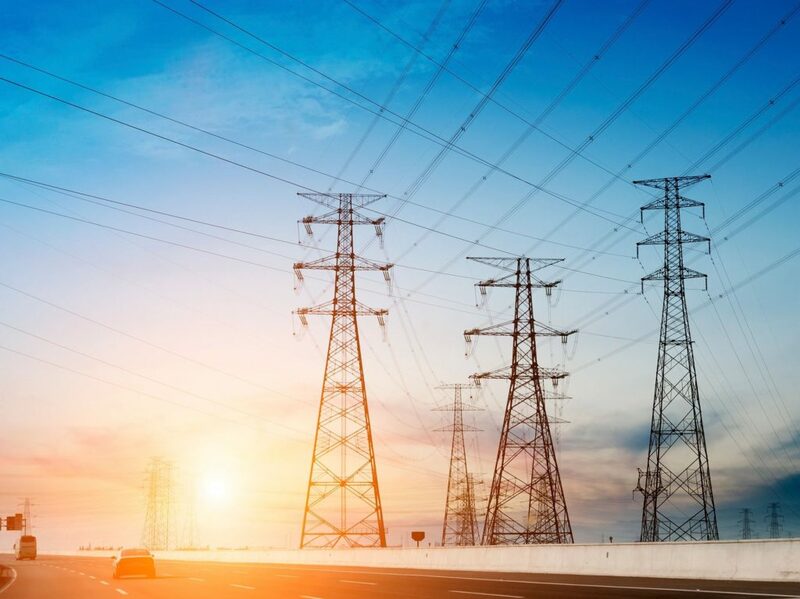 As this market grows, other utility customers cannot afford to continue paying new net metered customers 300 percent of the market value of their electricity. Net metering was always meant to help someone who wants solar panels to afford them. It was not meant to turn net metering customers into energy marketers, and it was not meant to enrich them with other customers’ money. If the cost of solar is 70 percent less today than when we enacted this law, at what point do the subsidies end? Charles G. Snavely, secretary of the Kentucky Energy and Environment Cabinet, also supports the bill. “It is about not paying more for something than is necessary, yet also paying the solar generator customer for the equitable value of the excess solar produced,” he said. Now is the time to address this inequity. We cannot delay this any further. We have a chance to head this off in Kentucky before it becomes an even bigger issue. Every year we don’t fix this structural problem with our electric rates, it gets harder and harder. Every year we don’t address this issue, more and more grid reliability costs are pushed onto Kentuckians who can least afford it. Rep. Jim Gooch, R-Providence, represents parts of Daviess and Hopkins Counties as well as all of McLean and Webster Counties. 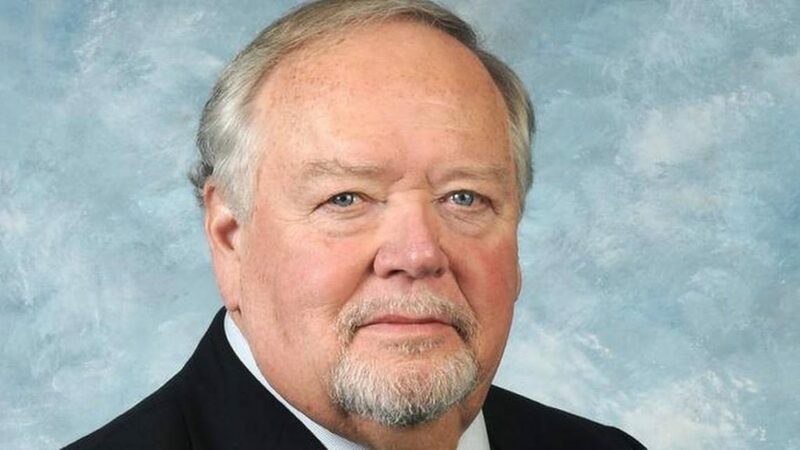 In January, Kentucky Energy and Natural Resources Committee Chairman Jim Gooch introduced a bill that would amend the compensation rate for solar users who sell the excess power they produce back to the utility companies. The 14-year-old system compensates solar users at the full retail price of the electricity, versus the wholesale price for these sales. This practice ultimately shifts costs to non-solar customers. While criticisms of net metering often center around the adverse effects on low-income individuals, evidence shows that the problem also extends to the majority of small businesses who don’t want or can’t afford solar. FBAE all business owners should fairly share in the fixed costs necessary to maintain the energy grid. FBAE drafted a letter to the Kentucky Legislature, supporting Chairman Gooch’s legislation, H.B. 227. 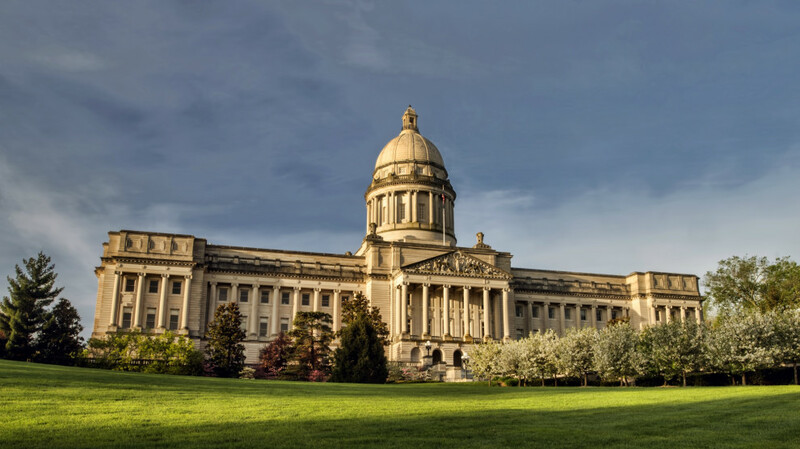 The bill will amend Kentucky’s net metering compensation system by paying producers at the wholesale rate instead of the full retail rate they currently enjoy. Additionally, the bill is not retroactive, and will not affect current users in the state. Family Businesses for Affordable Energy (FBAE) works to secure ordinances and legislation that keep energy costs low and protect consumers and family businesses. As members and volunteers in South Miami, we are concerned by the ordinance mandating solar requirements that is threatening our community because it is being hastily passed without necessary consumer protections and protections for affordable housing. The ordinance, in its current form, will make South Miami even more unaffordable and unattainable. During the recent commission hearing, the Vice Mayor told one of our community members that “South Miami was unaffordable.” Additionally, the Mayor continued that statement by affirming that the ordinance places only a nominal expense on a million dollar home. The comments made from the dais fail to take into account the cost of this mandate on affordable housing. We do not, however, believe that the City Commission intended to overlook those of us who earn a livable wage because the Mayor tabled the bill as a result of concerns voiced at the hearing and made a commitment to address concerns before the ordinance is voted on. Remove mandate on existing structures: The mandate on existing structures creates a burden that is too large and costly on homeowners who want to improve or expand their property. As members of the community, we support providing non-mandated incentives to encourage solar panels for remodels and expansions, but ask you to remove the mandate on existing structures. Remove mandate on all new, single family homes under 2000 square feet: The South Miami commission should work to ensure that residents have access to affordable housing. By mandating an additional expense of $25,000 (or more) on construction of smaller, more affordable homes, the Commission is reducing the number of affordable homes in South Miami and pricing lower and middle income families out of the home buying market. Provide residents with educational materials on preferred vendors and benefits of the ordinance as well as town halls to secure community buy-in. If the city mandates solar panel installation, as residents we expect more information on vendors, consumer protections, costs and best practices. 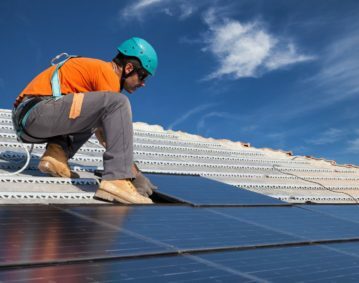 Prior to passing the ordinance, local residents expect the City to prepare educational materials on consumer protections, preferred vendors and best practices for installing solar panels, as well as how homeowners can benefit the most from solar panels. We would also like the city to hold at least two town halls on the ordinance and solar installation best practices prior to passage of the ordinance to secure community understanding and buy-in. Provide residents with actual costs and benefits of solar panels in South Miami. The city has provided payback models and financial benefit for the solar ordinance, but those models are based on California energy prices and do not take into account Florida’s energy costs or the higher costs of insuring the panels using high costs of insurance in Florida. We would like a specific study done on the costs and benefits to South Miami homeowners done by the city – we do not think you should rely on a California cost and benefit model to justify the financials in South Miami. It is our hope that you will address the concerns in the ordinance mandating solar requirements that are threatening our community. This ordinance should not be hastily passed without taking into consideration affordable housing in South Miami, as well as necessary safety and consumer protections.